A One Page PSD design made for Anyone who wants to present a product and or a service. Home. 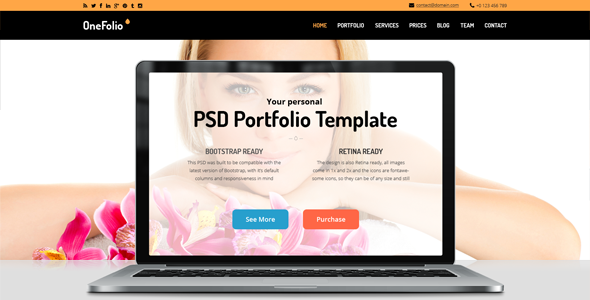 full width background presentation section With a Laptop front and center. Item Reviewed: New One Page PSD Template for Portfolio or any Business 9 out of 10 based on 10 ratings. 9 user reviews.